Just like anywhere else, moving house in the Netherlands can be a stressful time. You may have found your dream place, secured a mortgage or lease, and signed the contract, but there’s still the issue of actually getting yourself and all your stuff there in (hopefully) one piece. In fact, multiple surveys put moving house right at the top of the list of stressful life events. 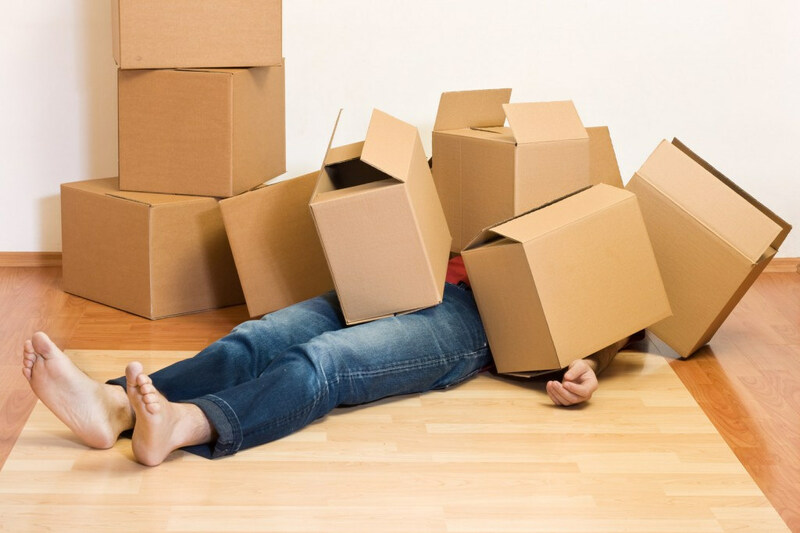 One survey by British energy company E-on found that moving can be more stressful than divorce and starting a new job. But it’s not all bad news. With a little planning and the help of the right moving company, you can minimize the hassle and hit the ground running in your new place. We got in touch with expat-focused moving company KHZ and came up with these tips. Box up and throw away! The most obvious step of all: pack everything away. Make sure you keep all your important documents (passports, contracts, cash, etc.) separate, and place everything else in labelled boxes. Labelling by room can cut down on confusion when it comes to unpacking. Wrap breakable items in bubble wrap or clothes, and use sandwich bags to keep small screws and fittings or jewelry together. Of course, if you’re moving with KHZ, they’ll take care of all the packing, giving you one less thing to worry about. KHZ also pack according to your demands, and can provide made-to-measure wooden crates and boxes for large or fragile items. Moving can be a good time to de-clutter. Recycle old magazines, shred old documents, and sell or donate clothes, books, and furniture. Embracing your inner minimalist and shedding excess belongings can be a load off your mind. If you’re moving to a new country, bear in mind that you may not be able to take everything. Flammable goods like fuel, alcohol and certain household cleaners, corrosive acids or bleach, compressed gases and explosives are all usually prohibited. If in doubt, leave them out. Perishable food can also present a problem, as can plants and soil. To prevent foreign diseases entering the local ecosystem, many countries either quarantine or outright reject these goods. Likewise, make sure you clean any soil off garden tools, golf clubs or bicycles. Keep it clean! All gas appliances should be disconnected, and the gas flow shut off before the move. Refrigerators and freezers need to be defrosted, then cleaned and dried thoroughly to prevent mold and mildew building up. Washing machines and dishwashers can have up to 2 litres of water left behind in the filter housing after use, which should be emptied and dried. Appliances with a permanent electrical connection need to be disconnected by an electrician. If you don’t know who to call, KHZ can handle this too. According to the experts, these two tips are the ones most commonly forgotten. Remember them, and you won’t find any nasty surprises when you arrive at your new abode. A moving truck takes up a lot of space. You’ll need to make sure that there’s enough room outside your house or apartment for the truck to pull up. If there’s usually cars parked on the street outside, ask your neighbours to leave some space well in advance. KHZ can arrange parking permits, and even supply postcards so you can inform your neighbours ahead of the big day. The last thing you want to do when you turn the key in your new place is to root through your carefully packed boxes for a toothbrush or toilet paper. Keep some essential toiletries, clothes and personal belongings in a bag for easy access when you get to your new place. A shower and change of clothes can be a godsend after a long day of moving. If you don’t want to get stuck into unpacking right away, an airbed can be handy for the first night in your new place. Order some takeaway and congratulate yourself on the big move. You’re finally home! KHZ is a moving company that goes the extra mile for expats. Whether it’s moving inside the Netherlands or between countries, KHZ and their trusted partners are on hand to help with everything, door to door. KHZ are flexible, and tailor all services to your demands; from packing your belongings and sorting out the paperwork, to helping you find a school for your children and settle into your new surroundings. An expat-focused company, KHZ speak your language too. Visit the site or call +31 (0)172449977 to find out more.